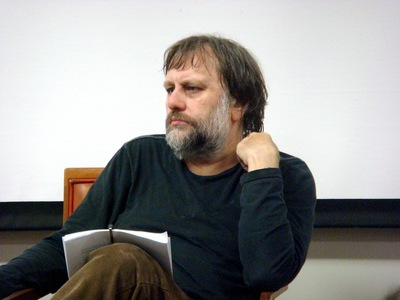 Philosopher and cultural critic Slavoj Žižek is internationally recognized for his works on psychoanalysis, Hegel, cinema, political theory, and current events. He teaches at the European Graduate School and has been a visiting professor at Université de Paris VIII, Columbia, and Princeton, among other institutions. He is founder and president of the Society for Theoretical Psychoanalysis in Ljubljana, Slovenia, and is the author of many books on topics ranging from Christianity to the films of David Lynch.